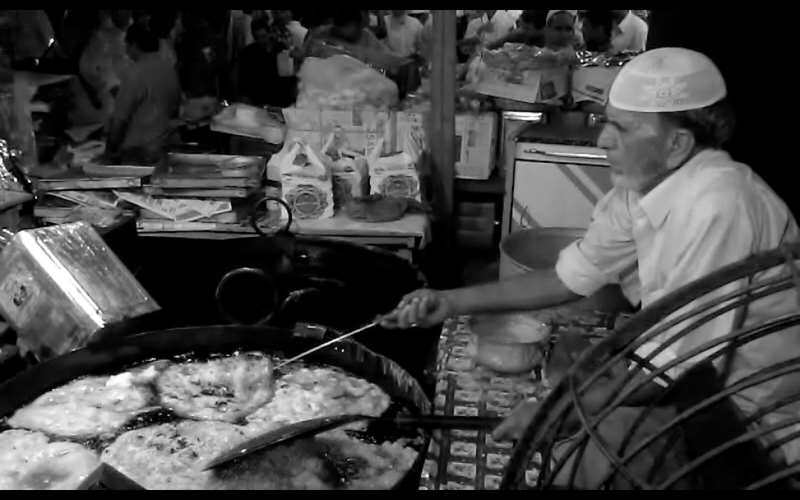 On the streets of Mumbai’s old Muslim district of Bhendi Bazaar, the age old tradition of Malpua making is still carried out with a lot of flair. The cook in this video has been making these almost all his life. Suffice it to say, he knows a good Malpua and if you want to try one of these, this is the place to go. But besides his obvious expertise, the drama of the frying in vats of boiling hot fat and then the tossing of the ready Malpuas, looks both dangerous and fascinating! This is pure supper theater!